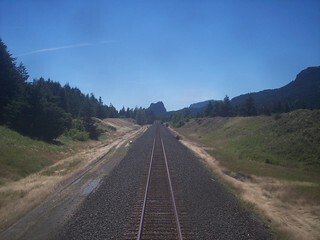 Continuing west from White Salmon the mountains grow as we approach the spine of the Cascades. 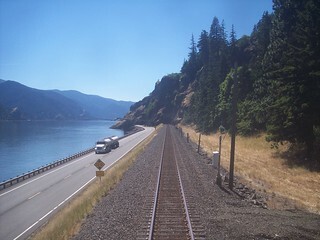 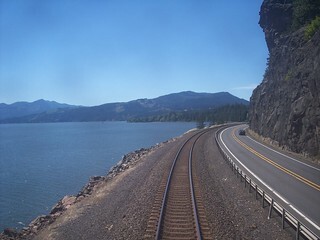 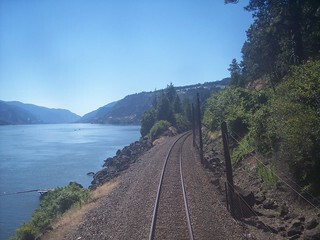 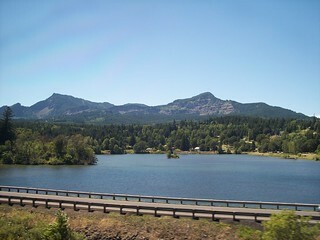 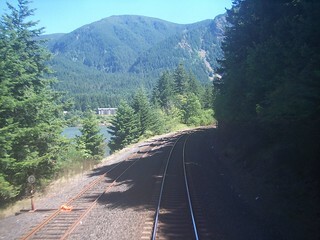 Vegetation returns as we follow the Columbia River to the west side of the mountains. 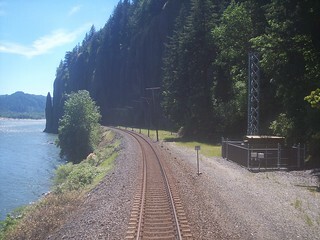 After a couple more tall cliffs right at the water's edge the land begins to flatten. 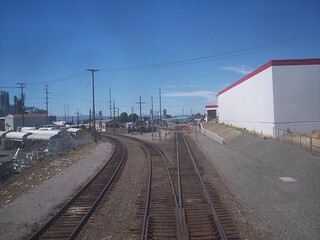 The Empire Builder will turn left to arrive at Vancouver station. 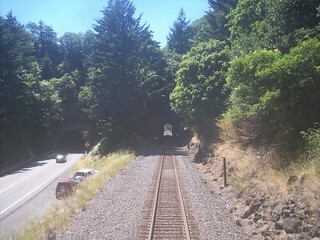 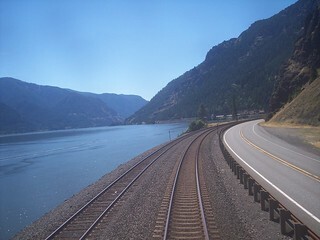 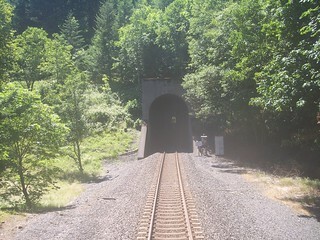 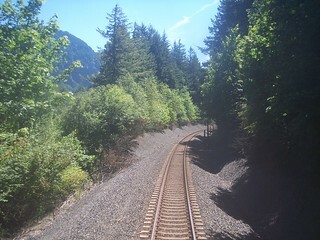 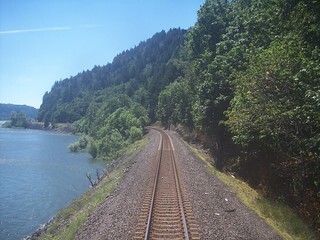 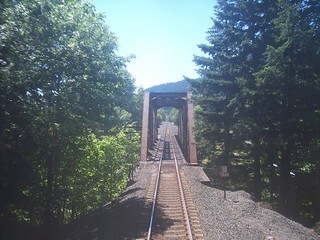 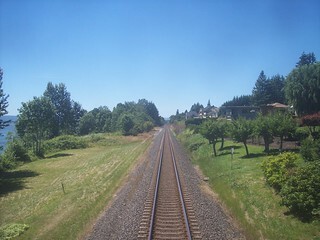 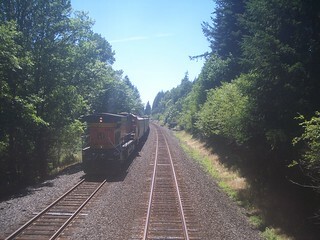 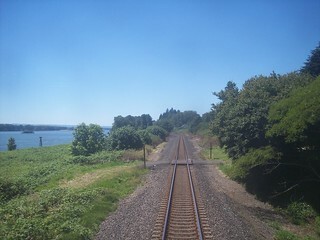 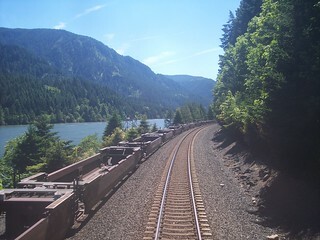 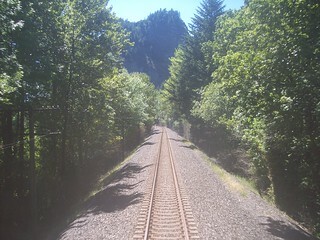 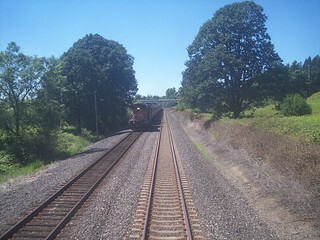 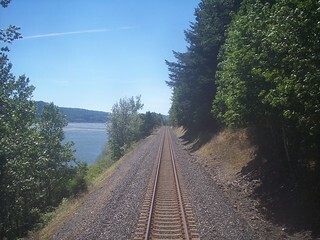 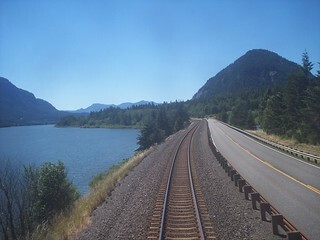 The tracks straight ahead continue north.